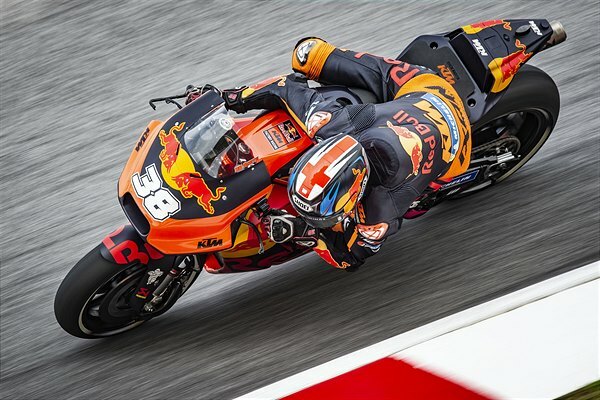 Moving north from Phillip Island to reach the popular climes of Sepang brought MotoGP to the third round in three consecutive weeks and the second-to-last Grand Prix of a long season that begun with the first official test back at the Malaysian circuit in February. 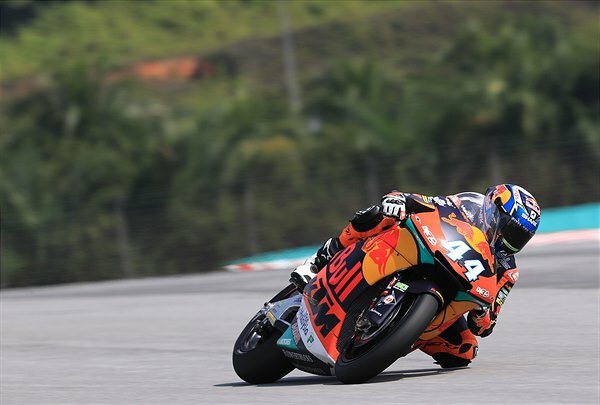 Through the heat and humidity, Red Bull KTM Factory Racing Team worked hard for the mix of heavy braking zones and fast curves of the Sepang course and again hovered around their habitual position just outside the top ten of the premier class pack. 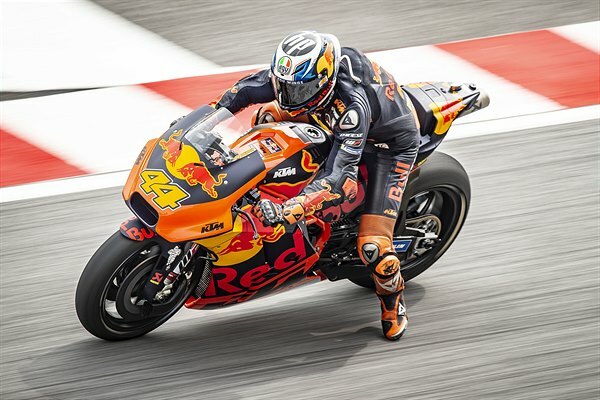 Pol Espargaro managed to drop his best lap-time by over a second from Free Practice 1 to 3. Grey skies looked ominous for the qualification schedule earlier this morning. 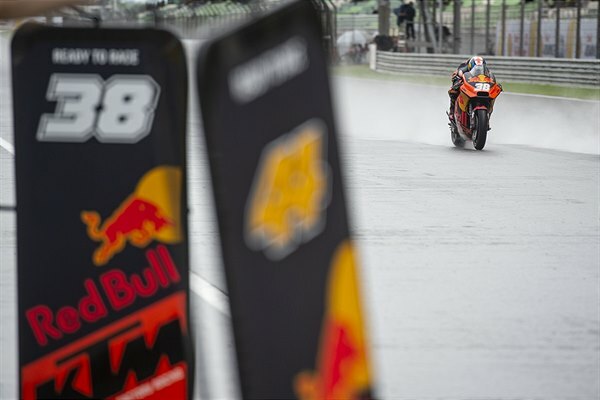 The riders enjoyed a dry FP4 and managed just half a lap of Q1 before the heavens opened and the circuit was flooded with excessive standing water. 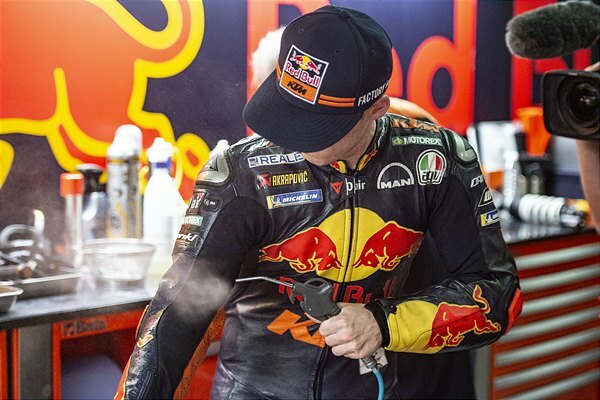 Red flags called the session to a halt as Bradley Smith and Espargaro immediately returned to pitlane. 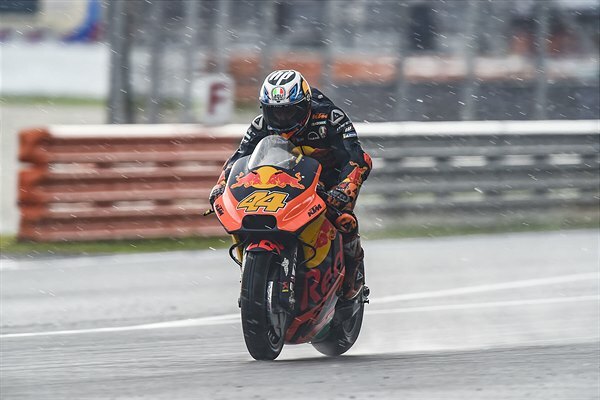 After a sizeable delay both Espargaro and Smith could squeeze in two short runs in the wet on their KTM RC16. 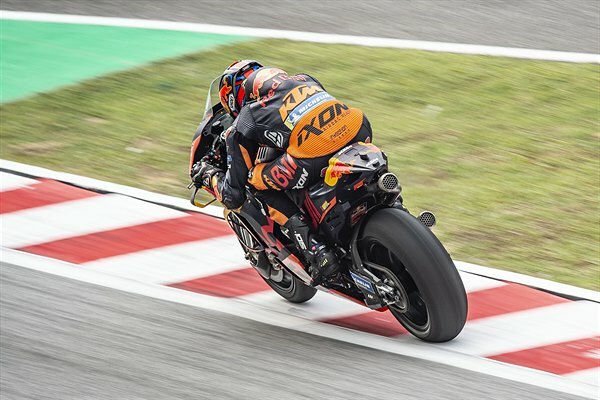 Smith in particular was frustrated as a crash at Turn 11 ruined his chances of a Q2 slot and Espargaro opted for a Medium tyre choice that didn't quite pay off. 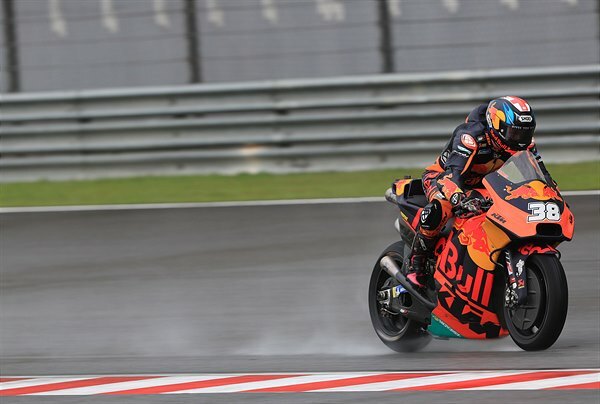 Moto2 winner in Australia last week, Red Bull KTM Ajo’s Brad Binder, clocked the 9th fastest lap on his KTM Moto2 before the storms erupted at Sepang. 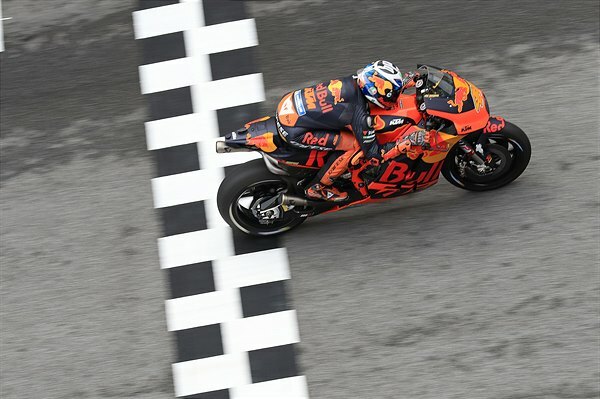 The South African was just a tenth of a second slower than teammate Miguel Oliveira who sits in 7th place and one spot behind championship rival Pecco Bagnaia. 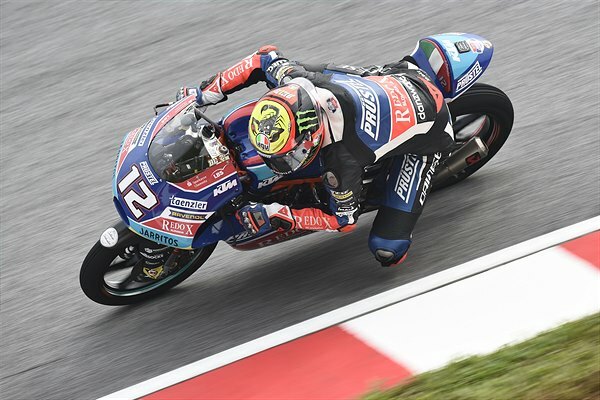 Oliveira: "Today's qualifying session at Sepang went well. 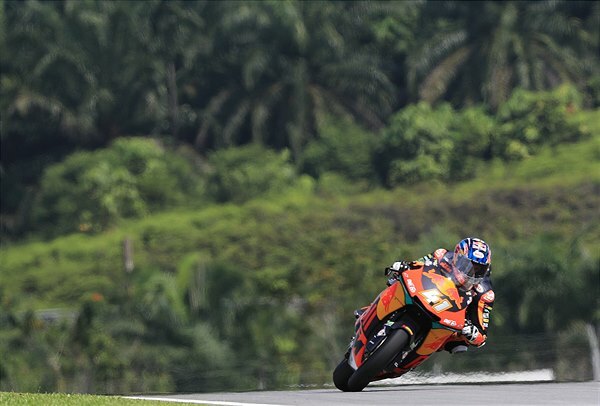 We set a good lap at the beginning, but then the rest of the session was trickier. 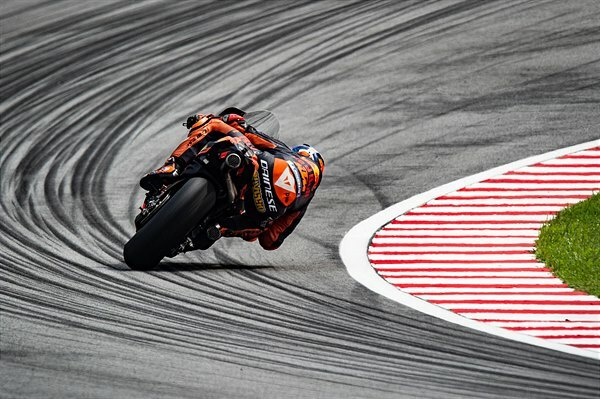 We lost some grip, even with the new tyres, but the important thing is that we head the third row and this will allow us to fight for the win in the race. 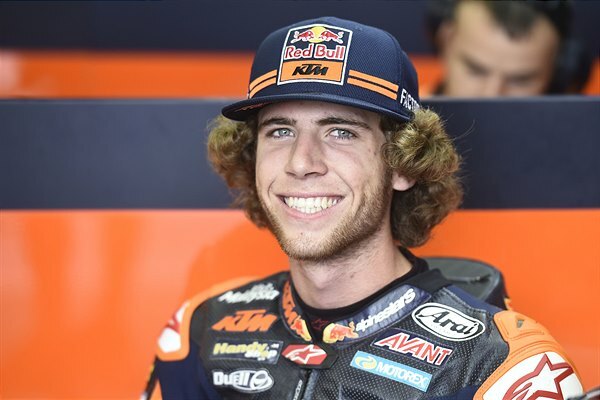 The objective tomorrow will be to make a good start, push from the beginning and give everything to achieve the best possible result." 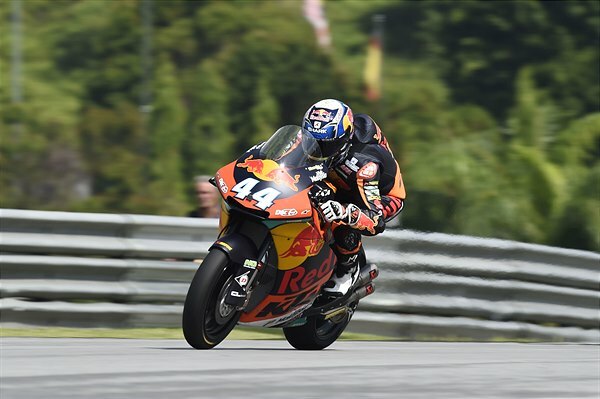 Five KTM RC250 GP motorcycles fill the first two rows of the Moto3 grid tomorrow. 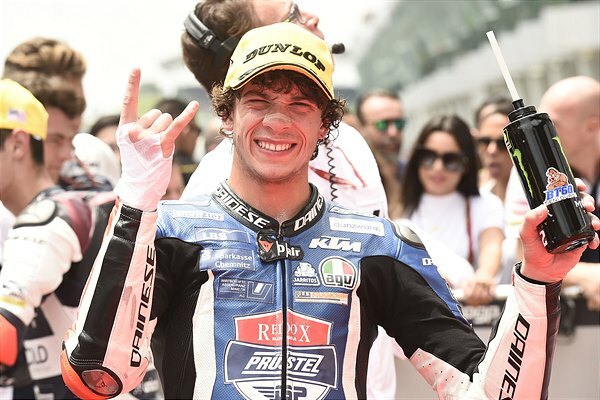 World Championship rivals Jorge Martin and Marco Bezzecchi head the way with John McPhee and Australian Grand Prix winner Albert Arenas also in the top five. 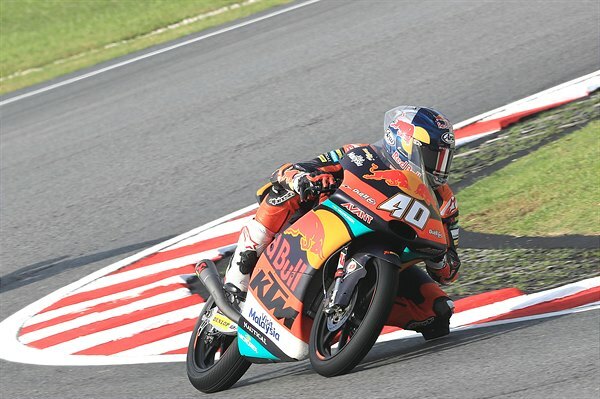 The 17 lap Moto3 sprint will get the race programme underway at 03.00 CET tomorrow.